Genuine HPI quality spare part for easy maintenance and repairs.Fits right into all HPI electric cars and trucks! The lower the number of turns, the more powerful the motor is - this motor is much more powerful and the Saturn 27T and 20T motors! This motor is excellent for the price. I've had one of these outlast and out perform 3 traxxas titan 12t motors so far and still running as good as the day I got it. Bought two of these motors for the price and they both lasted a long time still have the last one I put in since I went to brushless. Way better then the stock motors in the slash. For the price you can't beat it!!! Strongly recommend is you have brushed!!! I have been very impressed with this motor. 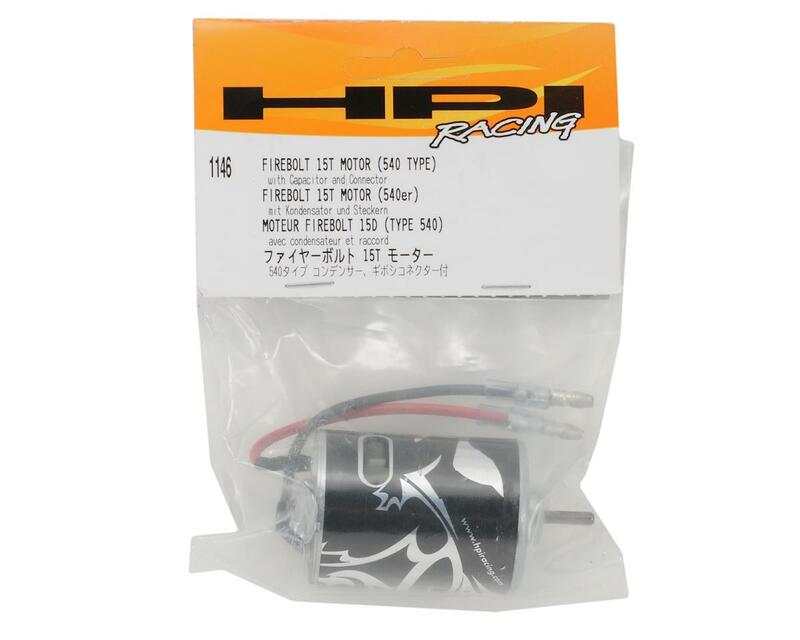 It outperforms more expensive motors such as the traxxas 12 turn and actually performs as well as the reedy 30000 rpm 17 turn in my tc3, best brushed motor ive used. 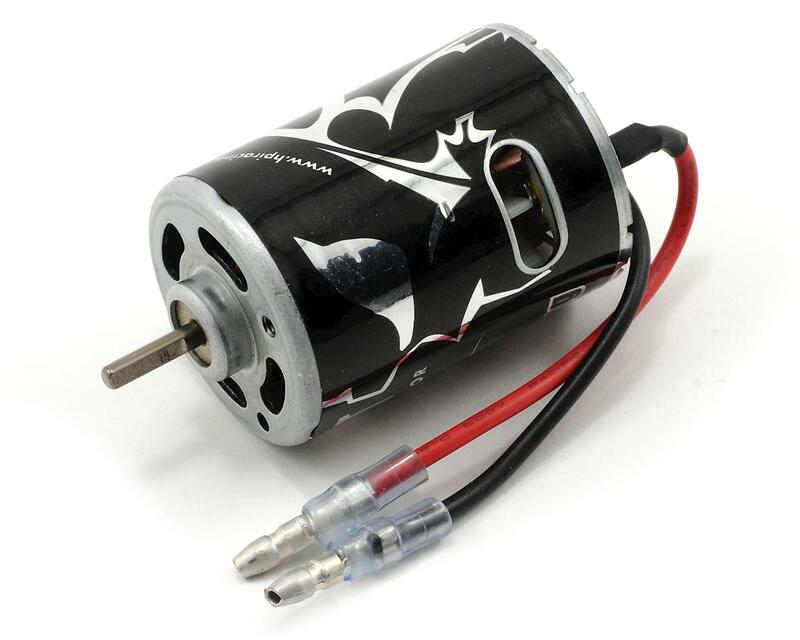 Can I run a 2s 20c lipo on this motor ? I. Using redcat brushed esc. I put one of these motors in my Axial crawler just for kicks and it exceeded my expectations. It just burnt out after several battery packs but it lasted longer than I was expecting it to. I'm running big tires with wheel weights and I am using a really abusive 20 tooth pinion. Running on 2s lipo, this motor still gave me tons of speed and lasted through respectable dozen or so battery packs before it finally gave up. If properly geared and paired with the right vehicle, I imagine it would last longer. Overall I'm very happy with this purchase and will likely buy it again if I ever feel the need for more speed with my crawler. I bought this motor for my torment that was running a 20t stock motor and i would say there is a great improvement in the speed and tuque. Great buy!!! Went through the original one in a normal time, but when I burned that one up, I purchased another one and it lasted about 15 battery charges. I called HPI to complain, and the service tech I spoke with said 15 batteries was all I should expect. Needless to say I decided to go brushless. Very disappointing. Very poor quality of brushes, brushes VERY-VERY SOFT, my Titan dead with 3/4 of thinkness of brushes, this motor and 20T Saturn erased their brushes on the motor and dead. Running indoor carpet. Plus"+" brush was erased first. 5 motors were used by me, and 25 by another drivers.